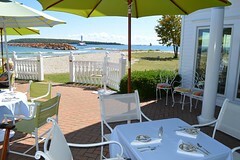 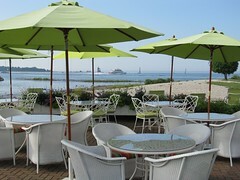 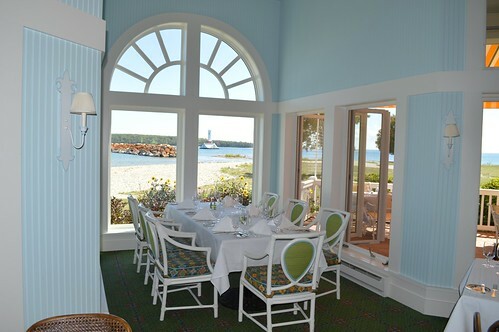 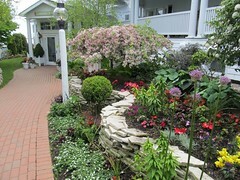 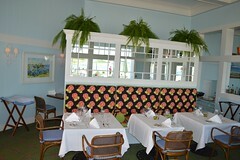 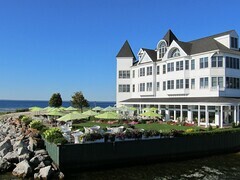 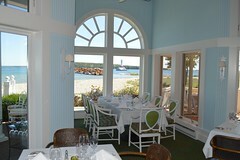 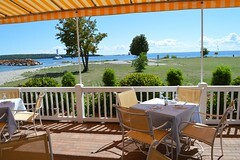 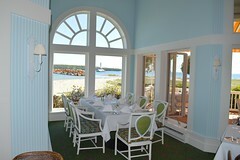 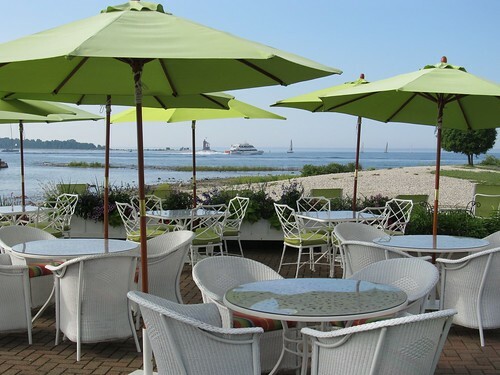 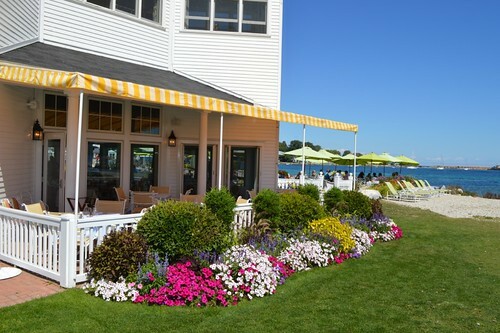 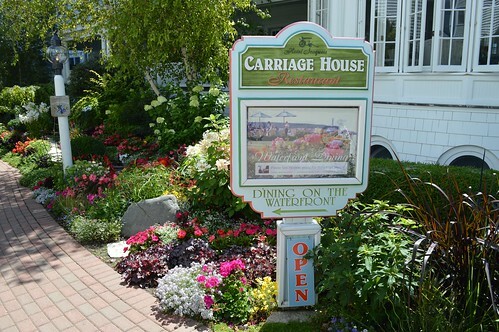 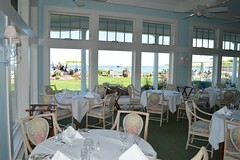 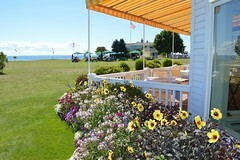 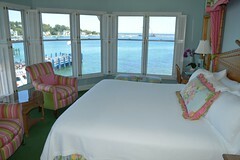 The Carriage House dining room is well-known for its excellent food, fine service and beautiful waterfront location. 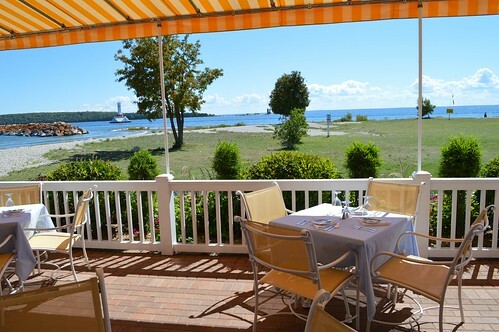 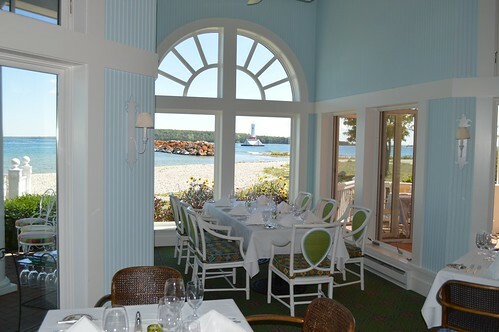 Directly overlooking the Straits of Mackinac, guests can dine in our glass-enclosed dining room or on one of our outdoor waterfront verandas. Serving lunch and dinner, guest experience an upscale medley of classic American cuisine. 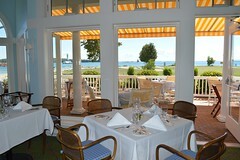 Extensive wine list, full bar and nightly entertainment at the piano bar.